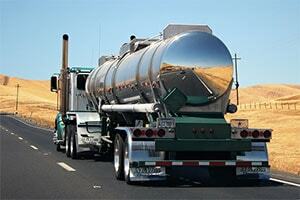 Previously, a truck driver shortage was the biggest problem facing the trucking industry. Now, it’s the possibility of plummeting employment opportunities for American truckers because of AI trucking technology. With over 4 million truckers in the United States, self-driving trucks are a scary concept for those whose lives revolve around transporting freight. Firstly, a key issue of the trucking industry is demographic. The average age of an over-the-road trucker is about 44 years or older.Not to mention, these truck drivers are predominantly male. As the driver shortage worsens, current drivers now are aging and retiring. Also, the industry’s high turnover rate doesn’t help with the shortage. Predicting that self-driving trucks will become a reality within the decade, trucking communities can reconstruct the industry to conform to the market. There is a high possibility that self-driving trucks will need some human intervention. Most likely, this intervention will be at the beginning and at the end of the trip. Although, what if employers could use this trucking cabin as a learning space for development for future careers? Rather than looking at the trucking industry for the current majority demographic, the trucking industry can shift to young workers who need experience and employer-aided learning. Since self-driving trucks handle most of the trip, the cabin can be used by young people eager to learn during the trip. The process is simple. The “driver” would monitor the truck while being fully equipped with a self-driving learning space. Additionally, this would provide a recruiting advantage for trucking industries: providing knowledge and payment. This innovative solution would not only provide jobs but would also ease the transition into a career. 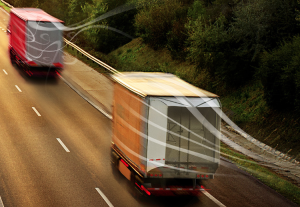 It will lower the turnover rate and provide a more steady and predictable employment trend opposed to the murky truck driver employment status now. So, what do you think? 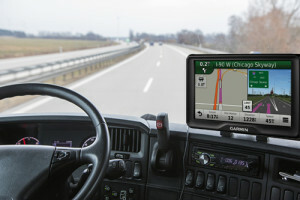 Do you think that the future of self-driving trucks is the perusal of knowledge? Or do you think the idea is too farfetched? Great Tool To Save Fuel? Read What Trailer Tails Can Do!